"Sorry to learn of Albert passing .I remember him from his..."
"He was a good man and be sadly missed." 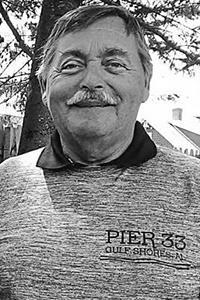 FORT MEYERS, Fla. - Albert R. Chapman, 68, of Lamoine passed away unexpectedly on March 9, 2019 in Ft. Myers, Floria. He was born in Skowhegan on Aug. 22, 1950 to mother, Laura (Corson) Chapman and predeceased father, Robert Chapman. Albert was a 1969 graduate of Skowhegan Area High School. Following graduation, he enlisted in the United States Marine Corps where he served for 10 years. He then became an appliance tech by trade. He loved sharing stories about his father, fishing, and spending time with his family. He also enjoyed traveling and going south for the winter with his companion Evelyn Farrell, also of Lamoine. Albert is survived by son, Aaron Chapman of Skowhegan; four brothers, Eugene Chapman of Skowhegan, Dennis Chapman of Norridgewock, Mitchell Chapman of Arkansas, and Arthur Chapman of Texas, two sisters, Cathy Dumont of New Hampshire, and Liza Gordon of Skowhegan; two grandaughters, Kherrington Kresge and Ryleigh Chapman of Skowhegan. As well as many nieces, nephews and many other loved ones as well. A celebration of life and burial will be held at a later date.